I love the patterns you can find in wood – great entry and lovely photo! I like the way your title played into what you saw and wanted us to see in the wood. Good job! Wooden waves are beautiful, and you have captured it very nicely. 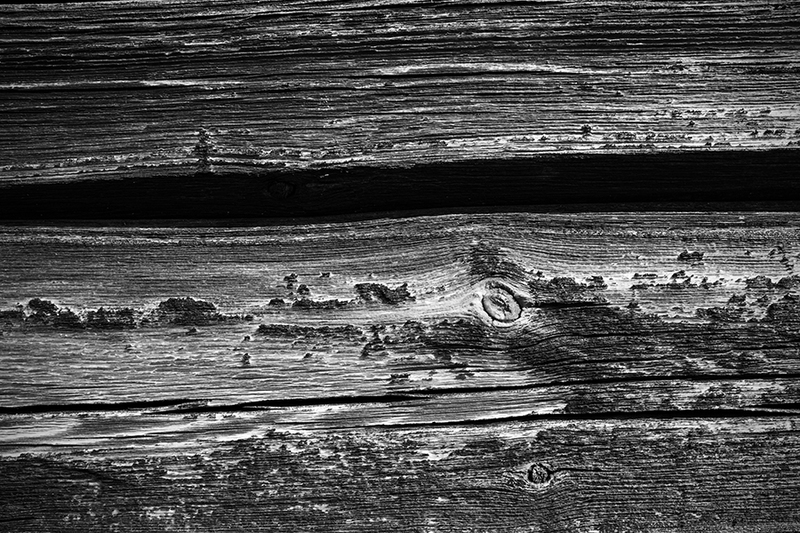 FIne texture in these wooden boards. Looks like they have been there a long time. Lovely Black and White texture and waves. Beautiful texture. Wood is so good for it. This is a wonderful example of using B&W photography effectively. I love this – great take on the challenge! Beautiful, no words needed indeed. Even though its a black and white photo you can tell it was a brilliantly sunny day. Blinding, behind the lense, I bet! Very nice image. I love looking for patterns and texture in nature. The B&W treatment is the perfect choice. Well done. Interesting contrasts and texture shot!